How to announce an academic talk? In memoriam Aaron Swartz (1986-2013). I, like so many others, knew Aaron as a 14 year old boy working in the RDF Interest group and participating in Semantic Web events, like SWWS, which I chaired and co-organised. I remember exactly the day when we had a meeting at MIT, the door opened and a 14 year old boy stood in the door. Imagine our reaction when we realised we all knew him from the interactions on the RDF Interest mailing list! Aaron, you touched many lives and have shown us what we can achieve with dedication and passion. You died not in vain. RIP. Isabel F. Cruz, Stefan Decker, Dean Allemang, Chris Preist, Daniel Schwabe, Peter Mika, Michael Uschold, Lora Aroyo: The Semantic Web - ISWC 2006, 5th International Semantic Web Conference, ISWC 2006, Athens, GA, USA, November 5-9, 2006, Proceedings Springer 2006. Isabel Cruz, Stefan Decker, Jérôme Euzenat, and Deborah McGuinness (eds. ): The emergent Semantic Web, IOS press, Amsterdam (NL), June 2002. E. Oren, C. Mesnage, B. Heitmann, A. Haller, M. Hauswirth, and S. Decker. A flexible integration framework for Semantic Web 2.0 applications. IEEE Software, 24(5):64-71, Sep. 2007. J.G. Breslin, S. Decker, "The Future of Social Networks on the Internet: The Need for Semantics", IEEE Internet Computing, vol. 11, pp. 86-90, November/December 2007. J.G. Breslin, S. Decker, A. Harth, U. Bojars, "SIOC: An Approach to Connect Web-Based Communities". International Journal of Web-Based Communities, vol. 2, no. 2., 2006. M. Neumann, I. O'Murchu, J.G. Breslin, S. Decker, D. Hogan, C. MacDonaill, "Semantic Social Network Portal for Enterprise Online Communities". Journal of European Industrial Training, Special Edition, September 2005. Martin S. Lacher, Stefan Decker: RDF, Topic Maps, and the Semantic Web, Markup Languages: Theory and Practice, MIT Press, April 2002. Creating Semantic Web Contents with Protégé-2000. In IEEE Intelligent Systems, Vol. 16, No. 2, March/April 2001, Special Issue on the Semantic Web, pp. 60-71. Enabling knowledge representation on the Web by extending RDF Schema, Electronic Transactions on Artificial Intelligence (ETAI), Linköping Electronic Articles in Computer and Information Science, 6(10), 2001. D. Fensel, E. Motta, F. van Harmelen, V. R. Benjamins, M. Crubezy, S. Decker, M. Gaspari, R. Groenboom, W. Grosso, M. Musen, E. Plaza, G. Schreiber, R. Studer, and B. Wielinga: The Unified Problem-solving Method Development Language UPML, to appear in Knowledge and Information Systems (KAIS): An International Journal. Stefan Decker, Prasenjit Mitra, and Sergey Melnik: The Framework for the Semantic Web: An RDF Tutorial. In: IEEE Internet Computing. November/December 2000. Semantic Community Web Portals. In: Computer Networks (Special Issue). WWW9 - Proceedings of the 9th International World Wide Web Conference, Amsterdam, The Netherlands, May, 15-19, 2000, Elsevier. Lessons Learned from Applying AI to the Web, Journal of Cooperative Information Systems, 9(4), 2000. S. Decker, F. van Harmelen, J. Broekstra, M. Erdmann, D. Fensel, I. Horrocks , M. Klein, and S. Melnik: The Semantic Web - on the respective Roles of XML and RDF, IEEE Internet Computing, September/October 2000. R. Benjamins, D. Fensel, S. Decker, and A. Gomez Perez: (KA)2: building ontologies for the internet: a mid-term report, International Journal of Human-Computer Studies (IJHCS), 51(3):687-712, 1999. Andreas Abecker, Stefan Decker, and Otto Kühn: Das aktuelle Schlagwort: Organizational Memory: Informatik Spektrum, Springer Verlag, 1999. In German. Sheila Kinsella, Uldis Bojars, Andreas Harth, John G. Breslin, Stefan Decker. "An Interactive Map of Semantic Web Ontology Usage." 12th International Conference on Information Visualisation (IV08), London, UK. IEEE Computer Society. Andreas Harth, Jürgen Umbrich, Stefan Decker: MultiCrawler: A Pipelined Architecture for Crawling and Indexing Semantic Web Data. International Semantic Web Conference 2006: 258-271. Knut Moeller, John Breslin, Stefan Decker: semiBlog - Semantic Publishing of Desktop Data. Accepted for the 14th International Conference on Information Systems Development (ISD 2005), Karlstad, Sweden, August 2005. Andreas Harth, Stefan Decker. "Optimized Index Structures for Querying RDF from the Web". 3rd Latin American Web Congress, Buenos Aires - Argentina, Oct. 31 - Nov. 2 2005. John Breslin, Andreas Harth, Uldis Bojars and Stefan Decker: Semantic Interlinking of Online Communit Sites. In: Proceedings European Semantic Web Conference, 2005. Benjamin N. Grosof, Ian Horrocks, Raphael Volz, and Stefan Decker. Description logic programs: Combining logic programs with description logic. In Proc. of the Twelfth International World Wide Web Conference (WWW 2003), 2003. Mario Schlosser, Michael Sintek, Stefan Decker, Wolfgang Nejdl: A Scalable and Ontology-based P2P Infrastructure for Semantic Web Services. In: Proceedings: P2P2002 - The Second IEEE International Conference on Peer-to-Peer Computing. 5-7 September, Linkoeping, Sweden, 2002. Wolfgang Nejdl, Boris Wolf, Changtao Qu, Stefan Decker, Michael Sintek, Ambjörn Naeve, Mikael Nilsson, Matthias Palmer, Tore Risch: EDUTELLA: A P2P Networking Infrastructure Based on RDF. In Proceedings of the World Wide Web Conference 2002 (WWW2002), Hawaii, 7-11 May 2002. Michael Sintek, Stefan Decker: TRIPLE - A Query, Inference, and Transformation Language for the Semantic Web.. In Proceedings of the 1st International Semantic Web Conference, Sardinia, Italy, June 2002, Lecture Notes in Computer Science (LNCS 2342), 2002. Enabling knowledge representation on the Web by Extending RDF Schema. In Proceedings of the Tenth International World Wide Web Conference (WWW10), Hong Kong, May 2001. OIL in a nutshell. In Knowledge Acquisition, Modeling, and Management, Proceedings of the European Knowledge Acquisition Conference (EKAW-2000), R. Dieng et al. (eds. ), Lecture Notes in Artificial Intelligence, LNAI 1937, Springer-Verlag, October 2000. S. Decker, M. Erdmann, D. Fensel, and R. Studer: Ontobroker: Ontology based Access to Distributed and Semi-Structured Information. In: R. Meersman et al. (eds. ), Database Semantics, Semantic Issues in Multimedia Systems, Kluwer Academic Publisher, Boston, 351-369,1999. On2broker in a Nutshell (short paper). In: Proceedings of the 8th World Wide Web Conference (WWW8), Toronto, May 11-14, 1999. Michael Sintek and Stefan Decker: TRIPLE - an RDF Query, Inference, and Transformation Language. In: Proceedings of the International Conference on Applications of Prolog (DDLP'2001), Tokyo, October 2001. Martin S. Lacher and Stefan Decker: On the integration of Topic Map Data and RDF Data. In: Proceedings of Extreme Markup Languages, Montreal, Canada, 12-17 Aug. 2001, pp. 467-478. ISBN 1-58113-348-0. Prasenjit Mitra, Gio Wiederhold, and Stefan Decker: A Scalable Framework for Interoperation of Information Sources. In: Proceedings of the 1st International Semantic Web Working Symposium (SWWS `01), Stanford University, Stanford, CA, July 29-Aug 1, 2001. Yuhui Jin, Stefan Decker, and Gio Wiederhold: OntoWebber: Model-Driven Ontology-Based Web Site Management. 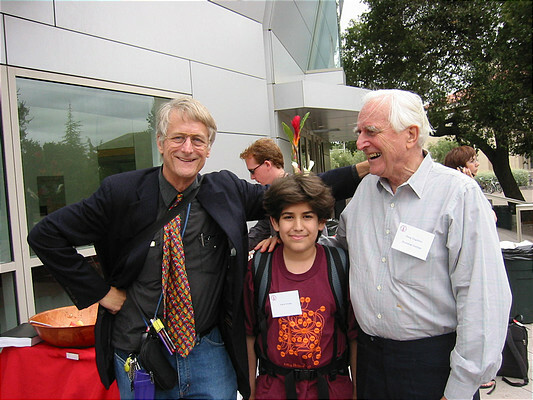 In Proceedings of the 1st International Semantic Web Working Symposium (SWWS '01), Stanford University, Stanford, CA, July 29-Aug 1, 2001. Stefan Decker, Jan Jannink, Sergey Melnik, Prasenjit Mitra, Steffen Staab, Rudi Studer, and Gio Wiederhold: An Information Food Chain for Advanced Applications on the WWW. In: Proceedings of the Fourth European Conference on Research and Advanced Technology for Digital Libraries (ECDL '2000), Springer LNCS, Lisbon, 2000. Steffen Staab, Jürgen Angele, Stefan Decker, Michael Erdmann, Andreas Hotho, Alexander Mädche, Hans-Peter Schnurr, Rudi Studer, and York Sure: Semantic Community Web Portals. In: WWW9 - Proceedings of the 9th International World Wide Web Conference, Amsterdam, The Netherlands, May, 15-19, 2000, Elsevier. Steffen Staab, Jürgen Angele, Stefan Decker, Michael Erdmann, Andreas Hotho, Alexander Mädche, Hans-Peter Schnurr, Rudi Studer, and York Sure: AI for the Web - Ontology-based Community Web Portals. In: AAAI 2000/IAAI 2000 - Proceedings of the 17th National Conference on Artificial Intelligence and 12th Innovative Applications of Artificial Intelligence Conference, Austin/TX, USA, July 30-August 3, 2000. Thorsten Wolf, Stefan Decker, and Andreas Abecker: Unterstützung des Wissensmanagements durch Informations- und Kommunikationstechnologie. In: WI'99 - 4. Internationale Tagung Wirtschaftsinformatik. Saarbrücken. Physica-Verlag, Heidelberg. March 1999. In German. Andreas Abecker and Stefan Decker: Organizational Memory: Knowledge Acquisition, Integration, and Retrieval Issues. In: F. Puppe (ed. ): Knowledge-based Systems: Survey and Future Directions, Proceeding of the 5th German Conf. on Knowledge based Systems, Würzburg, March 1999, Lecture Notes in Artificial Intelligence (LNAI), vol. 1570, Springer-Verlag, 1999. Rudi Studer, Dieter Fensel, Stefan Decker, and V. Richard Benjamins: Knowledge Engineering: Survey and Future Directions. In: F. Puppe (ed. ): Knowledge-based Systems: Survey and Future Directions, Proceeding of the 5th German Conf. on Knowledge-based Systems, Würzburg, March 1999, Lecture Notes in Artificial Intelligence (LNAI), vol. 1570, Springer-Verlag, 1999. D. Fensel, J. Angele, S. Decker, M. Erdmann, H.-P. Schnurr, S. Staab, R. Studer, and A. Witt: On2broker: Semantic-Based Access to Information Sources at the WWW. In Proceedings of the World Conference on the WWW and Internet (WebNet 99), Honolulu, Hawai, USA, October 25-30, 1999. D. Fensel, S. Decker, M. Erdmann, and R. Studer: Ontobroker: The Very High Idea. In Proceedings of the 11th International Flairs Conference (FLAIRS-98), Sanibal Island, Florida, USA, 131-135, May 1998. Andreas Abecker and Stefan Decker: Topics in Organisational Memory. In: Patrizia Marti and Sebastiano Bagnara (eds. ), Designing Collective Memories, 7th Le Travail Humain Workshop, Paris, France, September 1998. D. Fensel, S. Decker, M. Erdmann, and R. Studer: Ontobroker in a Nutshell (short paper). In C. Nikolaou et al. (eds. ), Research and Advanced Technology for Digital Libraries, Lecture Notes in Computer Scienc, LNCS 1513, Springer-Verlag Berlin, 1998. Stefan Decker, Manfred Daniel, Michael Erdmann, and Rudi Studer: An Enterprise Reference Scheme for Integrating Model Based Knowledge Engineering and Enterprise Modelling. In: Proceedings of the 10th European Conference on Knowledge Acqusition, Modeling and Management (EKAW 97), Sant Feiu de Guixols, Catalonia, Spain, October 1997, Springer Verlag, LNAI 1319. D. Fensel, E. Motta ,S. Decker, and Z. Zdrahal: Using Ontologies For Defining Tasks, Problem-Solving Methods and Their Mappings. In: E. Plaza u. a. (eds. ), Knowledge Acquisition, Modeling and Management, Lecture Notes in Artificial Intelligence, LNAI 1319, Springer-Verlag, Berlin, 113-128, 1997. Stefan Decker and Christoph Lingenfelder: Universally Quantified Queries in Languages with Order-Sorted Logics. In: H.J. Ohlbach (ed. ), Proc. 16th German Conf. on AI (GWAI-92), 1992, LNAI 671, Springer-Verlag, Heidelberg. Michael Sintek and Stefan Decker: TRIPLE - An RDF Query, Inference, and Transformation Language. To appear in: Springer LNCS Volume on Content Management and Decision Support Systems, 2002. An extensible approach for Modeling Ontologies in RDF(S). In Knowledge Media in Healthcare: Opportunities and Challenges. Rolf Grütter (ed.). Idea Group Publishing, Hershey USA / London, UK. December 2001. Rudi Studer, Stefan Decker, Dieter Fensel, and Steffen Staab: Situation and Prospective of Knowledge Engineering. In: J. Cuena, Y. Demazeau, A. Garcia, J. Treur (eds. ), Knowledge Engineering and Agent Technology. IOS Series on Frontiers in Artificial Intelligence and Applications. IOS Press, 2000. Rudi Studer, Andreas Abecker, and Stefan Decker: Informatik-Methoden für das Wissensmanagement. In: Festschrift zum 60. Geburtstag von Prof. Dr. Wolffried Stucky. Teubner Verlag Stuttgart. July 1999. In German. Stefan Decker and Martin Frank: The Networked Semantic Desktop. In: WWW2004 Workshop Application Design, Development and Implementation Issues in the Semantic Web. Michael Sintek, Stefan Decker: Using TRIPLE for Business Agents on the Semantic Web. The AI-2002 Workshop on Business Agents and the Semantic Web, May 26, 2002, Calgary, Alberta, Canada. Mario Schlosser, Michael Sintek, Stefan Decker, Wolfgang Nejdl: HyperCuP--Hypercubes, Ontologies and Efficient Search on P2P Networks. 1st Workshop on Agents and P2P Computing, Bologna, 2002. Sergey Melnik and Stefan Decker: A Layered Approach to Information Modeling and Interoperability on the Web. In: . In Proceedings of the Workshop Semantic Web: Models, Architectures and Management, Lisbon, September 21, 2000, following the Fourth European Conference on Research and Advanced Technology for Digital Libraries (ECDL'2000). Steffen Staab, Michael Erdmann, Alexander Maedche, and Stefan Decker: An Extensible Approach for Modeling Ontologies in RDF(S). In: Proceedings of the Workshop Semantic Web: Models, Architectures and Management, Lisbon, September 21, 2000, following the Fourth European Conference on Research and Advanced Technology for Digital Libraries (ECDL'2000). J. Broekstra, M. Klein, D. Fensel, S. Decker, and I. Horrocks: Adding formal semantics to the Web: building on top of RDF Schema. In: Proceedings of the Workshop Semantic Web: Models, Architectures and Management, Lisbon, September 21, 2000, following the Fourth European Conference on Research and Advanced Technology for Digital Libraries (ECDL'2000). S. Decker, D. Fensel , F. van Harmelen , I. Horrocks, S. Melnik , M. Klein, and J. Broekstra: Knowledge Representation on the Web. In: Proceedings of the 2000 International Workshop on Description Logics (DL2000), Aachen, Germany, August 2000. D. Fensel, V. R. Benjamins, S. Decker, M. Gaspari, R. Groenboom, W. Grosso, M. Musen, E. Motta, E. Plaza, G. Schreiber, R. Studer, and B. Wielinga: The Component Model of UPML in a Nutshell. In: WWW Proceedings of the 1st Working IFIP Conference on Software Architectures (WICSA1), San Antonio, Texas, USA, February 1999. D. Fensel, J. Angele, S. Decker, M. Erdmann, H.-P. Schnurr, S. Staab, R. Studer, and A. Witt: On2broker: Semantic-Based Access to Information Sources at the WWW. In: Proceedings of the Workshop on Intelligent Information Integration (III99) during IJCAI-99, Stockholm, Sweden, August 1999. Stefan Decker: On Domain-Specific Declarative Knowledge Representation and Database Languages. In: A. Borgida, V. Chaudri, M. Staudt (eds. ), Proceedings of the 5th KRDB Workshop (KRDB98), Seattle, WA, 31-May-1998. V. R. Benjamins, D. Fensel, A. Gomez-Perez, S. Decker, M. Erdmann, E. Motta, and M. Musen: Knowledge Annotation Initiative of the Knowledge Acquisition Community. In : Proceedings of the 11th Workshop on Knowledge Acquisition, Modeling and Management (KAW´98), Banff, Canada, April 1998. D. Fensel, S. Decker, M. Erdmann, and R. Studer: Ontobroker: Or How to make the WWW Intelligent. In: Proceedings of the 11th Workshop on Knowledge Acquisition, Modeling and Management (KAW´98), Banff, Canada, April 1998. S. Decker, M. Erdmann, D. Fensel, and R. Studer: How to Use Ontobroker. In: Proceedings of the 11th Workshop on Knowledge Acquisition, Modeling and Management (KAW´98), Banff, Canada, April 1998. Stefan Decker and Rudi Studer: Towards an Enterprise Reference Scheme for Building Knowledge Management Systems. In: Proceedings of the Workshop: Modellierung 98, Münster, 1998. V. Richard Benjamins, Enric Plaza, Enrico Motta, Dieter Fensel, Rudi Studer, Bob Wielinga, Guus Schreiber, Zdenek Zdrahal, and Stefan Decker: IBROW3: An Intelligent Brokering Service for Knowledge-Component Reuse on the World-Wide Web. In: Proceedings of the 11th Banff Knowledge Acquisition for Knowledge-Based System Workshop (KAW98), Banff, Kanada, April 1998. Dieter Fensel, Stefan Decker, Michael Erdmann, and Rudi Studer: Ontobroker: Or How to Enable Intelligent Access to the WWW. In: Proceedings of the 11th Banff Knowledge Acquisition for Knowledge-Based System Workshop (KAW98), Banff, Canada, April 1998. Stefan Decker, Dan Brickley, Janne Saarela, Jürgen Angele: A Query and Inference Service for RDF. In: QL'98 - The Query Languages Workshop, W3C Workshop. ERBUS - Towards a Knowledge Management System for Designers. In: Proceedings of the Knowledge Management Workshop at the 10 annual german AI Conference, 1997. Stefan Decker und Christoph Lingenfelder: Überprüfung von Integritätsbedingungen in Deduktiven Datenbanken durch SLDNF-Beweisanalyse und -strukturierung. In: N. Fuchs (ed. ), Proceedings 10. Workshop Logic Prgramming, Zürich, 1994. Ina O'Murchu, John Breslin, Stefan Decker, Marco Neumann, "Sneachta and the PUII: The Semantic Social Network Portal", Poster at the 3rd International Semantic Web Conference (ISWC 2004), Hiroshima, Japan, 2004. Jose Luis Ambite, Genevieve Giuliano, Peter Gordon, Andreas Harth, LanLan Wang, Qisheng Pan, Stefan Decker. "Argos: An Ontology and Web Service Composition Infrastructure for Goods Movement Analysis". Demo at Digital Goverment dg.o 2004, Seattle, WA, May 2004. Andreas Harth, Yu He, Hongsuda Tangmunarunkit, Stefan Decker, Carl Kesselman. "A Semantic Matchmaker Service on the Grid". Poster WWW 2004, New York. Stefan Decker: Semantic Web and Logic Databases: Challenges and Opportunities. Invited Abstract at the International Conference for Logic Programming (ICLP 2002), Copenhagen, Springer LNCS. Alun Preece, Stefan Decker: Guest Editorial: IEEE Intelligent Systems, Special Issue on Intelligent Web Services, January/February 2002. Andreas Abecker, Stefan Decker, and Frank Maurer: Editorial. Special Issue on Knowledge Management and Organizational Memory. Int. Journal on Information Systems Frontiers (ISF) 2(3/4), Kluwer, 2000. Stefan Decker and Frank Maurer: Guest Editorial. International Journal of Human-Computer Studies, Special Issue on: Organizational Memory and Knowledge Management, 1999. D. Fensel, M.-C. Rousset, and S. Decker: Workshop on Comparing Description and Frame Logics, Data and Knowledge Engineering (DKE), 25(3):347-352, 1998.